With all of the Western teams eliminated from the Season 4 World Championship for LoL, the quest for closure begins in Season 4. With all of the Western teams eliminated from the Season 4 World Championship for LoL, the quest for closure begins in Season 4. Pros, fans and journalists all scramble to make sense of the results, hypothetise what could be done differently and extrapolate what the future might hold. One dangerous and disconcerting theme I’ve noticed emerging amongst those looking back on the West’s results and trying to imagine the future, is that the opinions expressed often either descend into a pity party of excuses or become over-inflated with undue optimism that isn’t at all justifiable, based on the current circumstances or what history suggests. It’s not enough for the best Western teams to have a single good game against the best Asian teams, or play well from behind and lose, or have a lead but then give it up. These are not moral victories, they’re actually indictators of how wide the gap is between the best Koreans and the West’s best. If these are the best Western teams, with the best players and playing the best, as is the case for the Koreans, then it’s not a great sign that there were no truly close series and the best results were single games here and there. One of the worst signs in a competitor is when they are willing to settle for what they have and simply hope things improve next time. It’s why I despise the culture of excuse-making that frequents the Western scene. “We won this game, so we could have won that one too if [X] and [Y] hadn’t happened.” The same individual rarely stops to consider that perhaps the superior team they had stolen a game off could be saying the same thing, thinking of mistakes they had made which would have meant they’d have won the game our Westerners snatched, and might even be more on the money, as their gap needing to be closed might be narrower. A trend I’ve seen over and over in esports history is the demeanour of the teams and players who finish in the top four, but don’t take the title. The majority will be so energised by having played well and being able to compete with the eventual champions, that they’ll utter some statement like “next time I’ll be ready and I’ll beat them” or “I would have won if [X] and [Y] had gone differently, I was so close!”. What these, typically genuine, statements miss is that there is a naivety in imagining your circumstances exist in a vacuum and that others are not thinking the same thing. In Counter-Strike 1.6, one of the greatest players of all time was a Swedish rifle master called Potti. His speciality was playing in 1v1 or 1v2 situation, accurately reading the game and figuring out how to win under the highest of pressure situations. Due to that strength, his teams were able to seemingly every time prevail in close games, decided by one or two rounds in score. After those games, I would often hear other top players and teams saying things like “I just got unlucky in that round vs. Potti, if I’d won that then we’d have beaten them”. What these players didn’t understand, was that many opponents had the same sob story, that was just what Potti did to people. This concept, that being close to winning is distinctly different from winning, is a crucial one to pin down, since it pervades much of esports fandom. Over Cloud9’s entire history in LCS, Curse have had numerous games in which they’ve had a good start, built a good lead or won key team-fights, yet they have only ever recorded a lone victory over the two-time LCS champions with any of their line-ups. That’s not because C9 is lucky or Curse were unlucky, it’s because, as one can quite obviously see when judging the matter objectively, Cloud 9 are masters of closing out games against North American teams, while Curse have frequently found that to be a major weakness of theirs. Within North America itself, it’s not enough to be close and win the occasional game. Were that acceptable to still think of your team as potential champions of the league, one day, then coL, Curse and Dignitas could all think themselves “right there” with the best and only a few slight tweaks from the top. In reality, those who are not fans of those teams will be able to see how far away they actually appear and that the gap they would need to close is not as simple as just adding in some more practice or working on one’s flaws. Those flaws exist, to a degree, as a result of the personnel the teams have and their skillsets. Some teams flaws even exist as the other side of the coin of their strengths, making changing those habits quite tricky to attack. In StarCraft2, the Swedish Protoss player NaNiwa was someone who I got to speak to a lot, about specific matches he played and his mentality. Time and time again, he would have a run of form where he would go deep in a tournament, beat lesser Koreans and sometimes score games off the best Koreans. Early on in his career, he would attribute his losses to the same problems mentioned previously: bad luck on his part, good luck on the opponents part or something he simply he needed to practice more to improve. Yet settling for those excuses never elevated him to the status of one of the all-time great champions. As he would discover, as time went on, those flaws he thought could be fixed, as some of the Koreans did not display them, were actually limitations in his own game which were incredibly difficult to overcome and were holding him back precisely because he wasn’t on the level of the absolute best Koreans. Being close to beating the elite Koreans was quite a different prospect than actually beating them. What seemed like a few small tweaks or a little gap to be bridged, was in reality a showcase of the very qualities he lacked and which the best Korean players possessed and respect they were strong in. To give a LoL-related example, let’s use the CLG teams of 2012. At the IEM VI World Championship they were the team to give the near-unbeatable M5 their stiffest challenge, in the semi-final, yet still went home with a 0:2 loss and third place their reward. At IPL4, the team went even in series with eventual champions TSM, winning their first series 2:0 and losing the second 0:2. By going 50% against TSM, they imagined they had been unlucky and that they had shown themselves to be “as good” as TSM. In reality, part of the reason they had needed to win two series, was due to already losing a series to Dignitas in the upper bracket. How is it fair for CLG to say “if we’d just beaten Dignitas in that Bo3 then we would have won” and not for TSM to say “We shouldn’t have lost the first Bo3 to CLG” or even Dignitas to say “We won the first Bo3 vs. CLG, we should have won the second too”. At MLG Spring, a few months later and with a tweaked line-up, the same pattern repeated of who CLG lost to and going even in series with TSM, again finishing second. In this scenario we can quite clearly see that there was a gap between TSM and CLG, for a start off that TSM didn’t lose series to Dignitas and get dropped to the lower bracket ever. Likewise, just as we can credit CLG for being able to adapt to their first loss to Dignitas each time, so we must credit TSM for coming back after an initial loss vs. CLG each time. Finally, we must conclude that CLG, much like Dignitas against them, always did better the first time vs. TSM, for some reason, but then faded in the latter series, where TSM perhaps grew stronger. The same logic must be applied around evenly, it is not enough to simply choose the conclusions one finds more pleasing and ignore others that are less pleasant to consider. Champions rarely have such excuses, since they know the difficulty of winning. That there are fans out there who can look at Alliance’s loss to KaBuM and say it is proof Alliance and Europe are bad, yet complain that TSM “should” have beaten SK Gaming in the last match of the group stage shows the kind of double standard of logic that is continuously applied by Western fans. This general approach essentially involves imagining “your” team at their absolute best, with no mistakes made and every player at his peak form, which obviously happens quite rarely for most teams, and then pitting them, hypothetically, against a stronger opponent, but who is at a below standard form, with their players uncharacteristically making mistakes and displaing poor form, then stating that if that scenario were the norm then your team would win. As long as Westerners grasp for such unlikely scenarios or, even worse, bank on them, then the gap will remain quite large between the regions. It’s a method of encouraging teams and players to settle, by telling them that it’s not that their efforts, however earnest and hard-fought, aren’t good enough, instead it was luck or something minor which cost them a significantly better finish or performance. 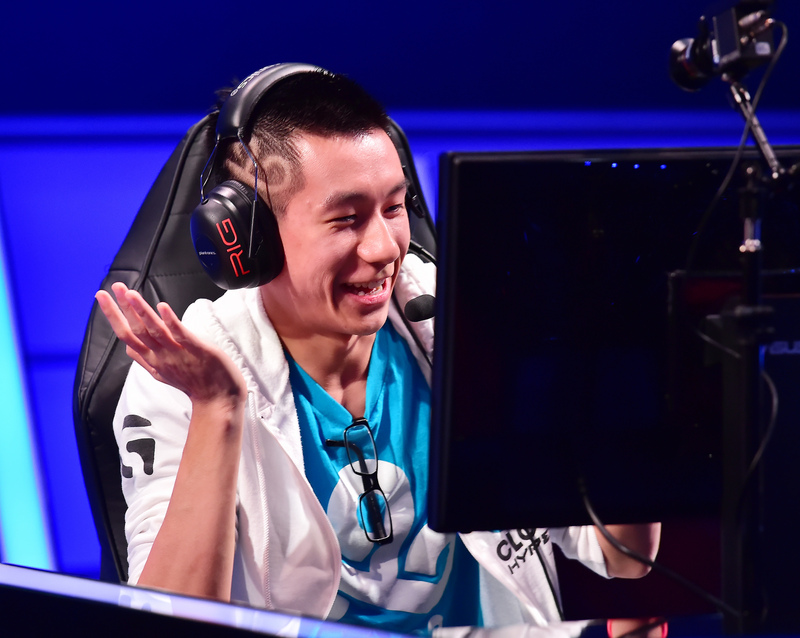 Looking back on Worlds, one can see positives and negatives for all four of the big Western names (C9, TSM, ALL and FNC). C9 looked quite shaky against All and NJWS in some of their games, but also had key wins over those teams and gave SSB a decent run, though they were still far from winning the series. TSM had a key win over SHRC, a top performer at Worlds, and a relatively easy win over the Svenskeren-less SK to thank for reaching the quarter-final. Once there, they were able to punish a SSW who tried to style on them and fight as hard as they could to stay in an unwinnable final game, but ultimately still found themselves very far from winning the series. Alliance showed their strengths and weaknesses in both their wins and losses. In their loss to NJWS, they showed the classic inability to close out a game decisively, letting their lead slip away and a loss appear from the jaws of victory. Even in the game they won against Shield, the same story was beginning to play out and one can imagine their initial loss played a key role in them being able to get through that without a similar embarrassment. Losing to KaBuM was clearly a shocking upset, but hardly defined their tournament and erased their legitimate wins over C9 and NJWS. Finally, fnatic looked excellent in beating SSB, arguably the second best team in the tournament, only to see key losses to OMG and LMQ cost them a playoff spot. The point to be made in this balanced assessment of all the teams, is that when viewed from this kind of perspective, without excuses or skewing the circumstances to imagine the best or worst for specific teams, one can see that each of these teams showed you their strengths and their weaknesses in their results. How is it fair to simply wish away one of their weaknesses and yet allow all their strengths to remain? That’s not an intellectually honest or productive approach. Consider another thought experiment: think of the best Chinese teams playing against the elite Korean teams now. Despite the excellent individual play of OMG’s top half of the map or SHRC’s ability to be carried by monster plays from Uzi, these strengths clearly don’t allow us to overlook the huge flaws each team has, flaws which hold them back from reasonably being at the same level as the Samsung sides. Similarly, in Korea itself there are some very good teams (Shield, SKT K, KT Arrows) who can match up with the Samsung sides, and sometimes even score games or the odd series win off them, but we can again see that their strengths do not allow us to ignore their flaws, flaws which fatally wound them the majority of the time in their matches against those better teams. When we’re discussing teams people have no emotional connection to, suddenly it becomes much easier to be objective and see that they will not over-night correct their flaws and consistently be at the level of a team like Samsung White. Telling Western teams they “just” need to work on their mechanics, practice more and improve in areas like shot-calling and vision controll, is a far from fair way to paint the quest that lies before the best Western sides. In some cases, that is akin to telling a short NBA player he just needs to be able to jump higher, so he can dunk the ball for a higher percentage shot, or telling a weak shooter that by working on his three point shot, then he’ll be able to score as many points as an elite perimeter shooter. In a perfect world, of course this makes sense, but in the realm of reality overcoming these limitations may be impossible and pretending otherwise a fruitless task of disappointment. I’ve never subscribed to the school of thought that Western pros are lazy or don’t care about winning. I’ve no doubt that the four Western teams I mentioned before all, collectively, want to win Worlds and are doing their best to make that a reality. When I’ve criticised the West for holding onto fan favourites or wanting to be famous over being successful, that’s either from an organisational perspective, where profit can trump raw success, or in terms of a mentality of thinking they already have the right approach and it will be “enough” when it comes to beating the Koreans. Let’s perform another thought experiment: imagine Hai goes home to NA and works in all his free time on his mechancs and expanding his champion pool. Were that possible, then why hasn’t he done so already? Hai has been a professional LoL player for a number of years now, playing at the highest domestic level for three splits now. In sports like basketball or football, a year or two is not a big deal, but in LoL terms, Hai is a seasoned veteran who is very unlikely to make any quantum leap up in skills or performance level. Were he to, he would be one of the great outliers in LoL history, this despite so many players working tirelessly to improve in those very areas. While our hypothetical Hai is working himself to the bone on improving in those areas, are we to imagine that the elite Korean players will simply stay at the same level or take time off and not improve as well? It’s not as if they have hit the skill ceiling for LoL, capped out and now wait at their ascended level for Hai to come and join them. Every day Hai is working on his craft, so are Faker, Pawn, Dade and Ggoong. Even if those players aren’t, or fall off to some degree, there are unknown Korean players on the rise or primed to step into their spots and perform, if those names cannot. Back on NA soil, if such players exist, how can they ever replace Hai? It’s not even an option for his team, right now, or his fans, that he be replaced. Even if an NA Faker existed, his team would seemingly not consider it unless that player was bashing on their door by destroying them from some lesser team and was able to showcase, with no adequate resources, ungodly shot-calling and nerves under pressure, presumably all from an inferior team to Cloud 9. The point to be made here, is that the Korean scene has players just as dedicated, who are already better, and is set-up to funnel more high level talent through similar processes of discipline as the best Westerners. It does not matter for Korea if Faker is as good in a year from now, if he is not then they will have some other Mid laner, as Pawn showed us this Worlds, who can fill his role of monster Mid and crush Westerners. For the West, all hopes are pinned on the Hais and Bjergsens of the world, demanding that they improve possibly beyond their own limitations, else there is no hope. It’s imply an unrealistic position to speculate from. Where are the examples of players who have played for year and years at the top end of the Western pro scene suddenly improving by any significant margin? Nearly every example is of a player who did not have the right level of team-mates or support system around them, perhaps in terms of resources. It’s with good reason that most of the S2 and S3 players from teams like TSM, CLG and CRS no longer play at the top level of the NA LCS, they’re simply not good enough and could not improve beyond their obvious limitations. What evidence is there to suggest that Hai can become one and half times better by next Worlds or that WildTurtle can genuinely be compared Uzi or imp next time they play? In terms of teams, if we look back on teams who did not make any roster changes, yet improved by a significant margin, we again find ourselves facing an almost empty slate of names. Once C9 had their five man roster set, they almost immediately began rampaging through all opponents before them, from the amateur scene through to the top of the NA LCS. It did not take them some gradual process of development from one competitive rung to the next, working their way up and learning valuable lessons about life along the way. Once the right team was together, they rocketed to the top. The same can be seen as the standard for all of the scenes. In the end, the sole goal of all of the elite Western organisations should be winning the World Championship. If that is their goal, then domestic titles and masses of fans and prize money will accordingly follow. For Western pros, they already try hard and deserve credit for their efforts, the improvements must come in the realms of coaching and recruitment. It is also key to point out, though, that the psychological component cannot be overlooked. Western pros who truly think “I won one game, so I was close and I’ll win next time” will find themselves facing the same kind of disappointment that top Western pros have now experienced for the last two years straight. Korea is not sitting waiting for potentially impossible improvement from individual players, it is working and battling to become better, while the West makes excuses and refuses to improve in coaching, organisation and recruitment – the only areas from which improvement has been proven to spring forth. The West showed some good games at Worlds, this much is true, but let’s leave it at that and wait for real improvement to be shown, not unduly praise good but not great performances and promise ourselves and our professionals that next year will be better. The first Western team to win Worlds won’t have needed people to pump them up or exaggerate their victories, they’ll win because they’re the team who performed the best at that tournament. You don’t give anyone the crown or credit, they take it for themselves, whether you like it or not.